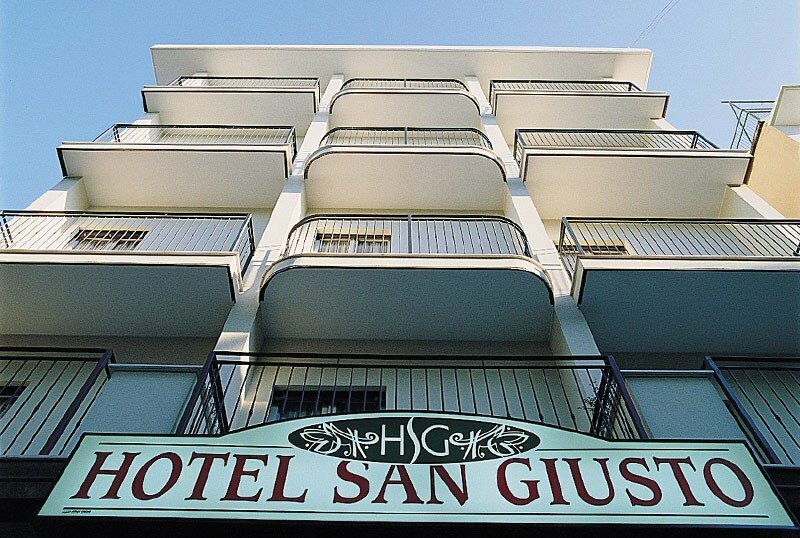 Hotel San Giusto di Cattolica offers a welcoming atmosphere, a friendly and informal atmosphere, air-conditioned rooms, parking and bikes available. Small pets are welcome. 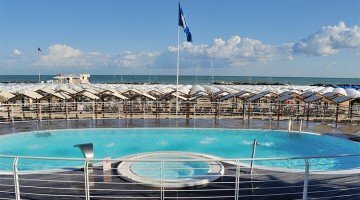 The Hotel is located near the sea, less than 10 minutes walk, in the center of Cattolica, in a quiet, silent and shady street. The rooms are spacious, bright and simply furnished and comfortable. All have a balcony, WI-FI, safe, minibar on request, LCD TV with CD and DVD player, and private bathroom with shower (26 shower rooms, 6 shower curtain rooms). Open-air porch, lift, bar, free use of bicycles. PARKING: near the hotel there is a covered, secured and insured parking with a free shuttle service. AIR CONDITIONING: air-conditioned lobby and dining room. BREAKFAST: international, with buffet of sweets and drinks. LUNCH AND DINNER: two menus to choose from, with meat and fish dishes and typical Romagna specialties and homemade pasta, followed by a buffet of cooked and raw vegetables. In the room: safety rails, camping cots. At the beach: entertainment, swimming pool, junior and baby club, shows, baby sitter service. The hotel has an agreement with the Stella Marina factory (bathrooms 46, 47, 49 and 50). Many services available: swimming pool, sports fields, internet point, entertainment, gym, aquagym, hot tubs and much more. The prices of the price list are per person per day, for a min. 3 days for Full Board and one min. 7 days for the All-Inclusive (minimum 2 people).